Video in Tirana of the closing ceremony and certificate distribution. Student evaluations: collage 1, collage 2, collage 3, collage 4, collage 5. My Community, Our Earth stewarded by the Association of the American Geographers. 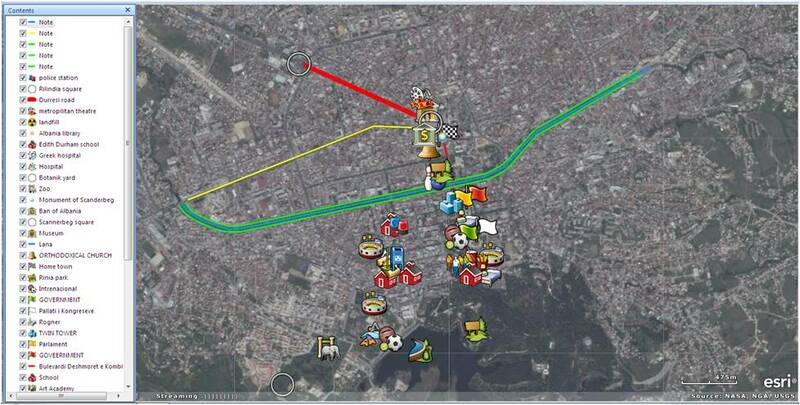 GreenMapping System which products are also a permanent collection of the New York public library. 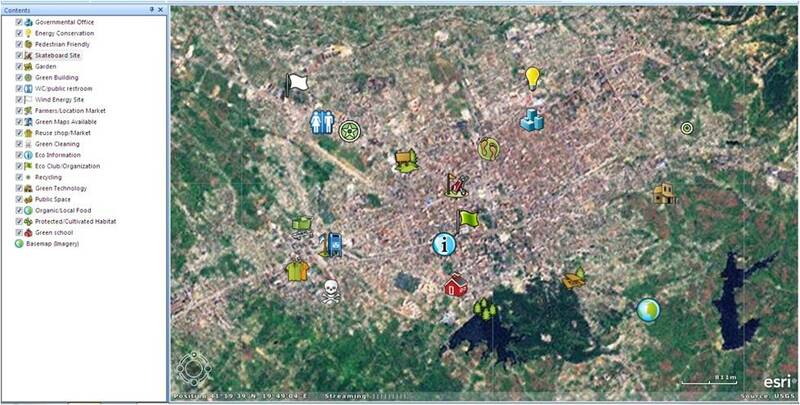 ESRI ArcGIS Online: Team 1, Team 2, Team 3a, Team 3b, Team 4a, Team 4b. 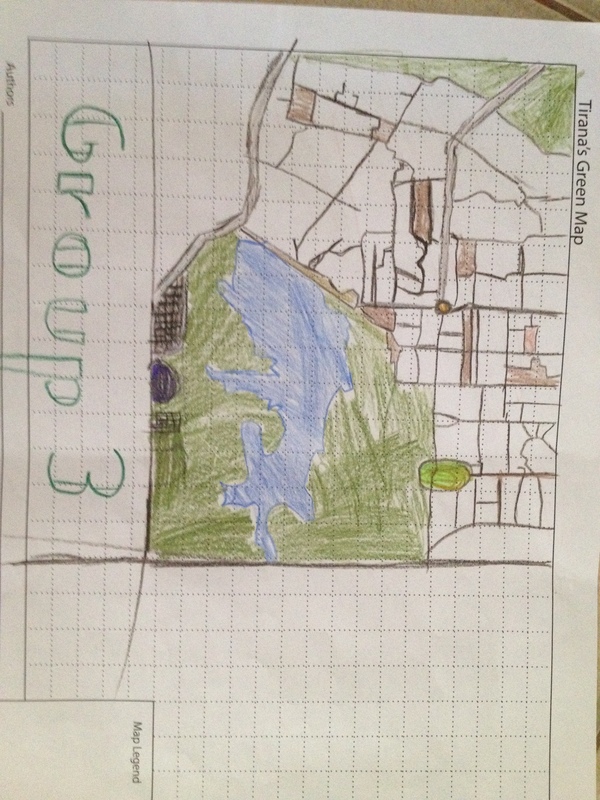 For the first two days students worked on the lessons we had prepared which were combined with teacher mediated group inquiries and discussions. 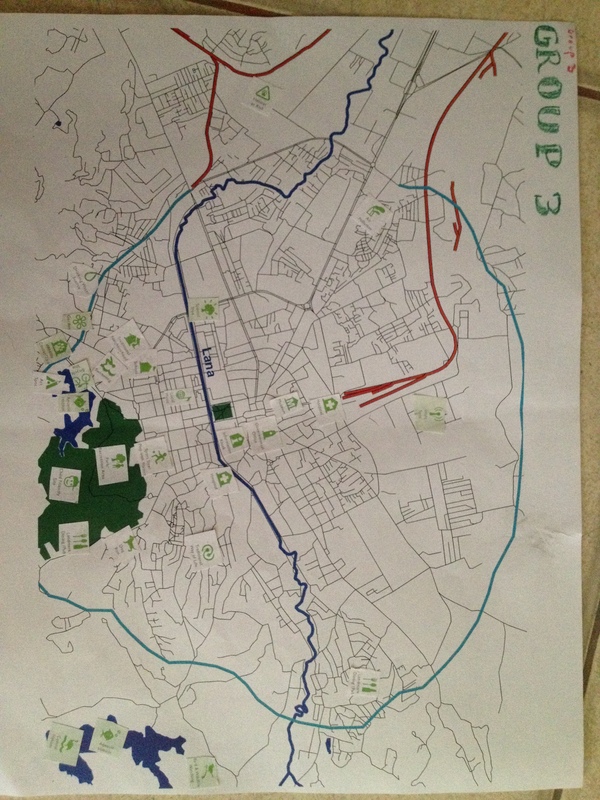 On the third day students worked in teams to create the first Green Map for Tirana. 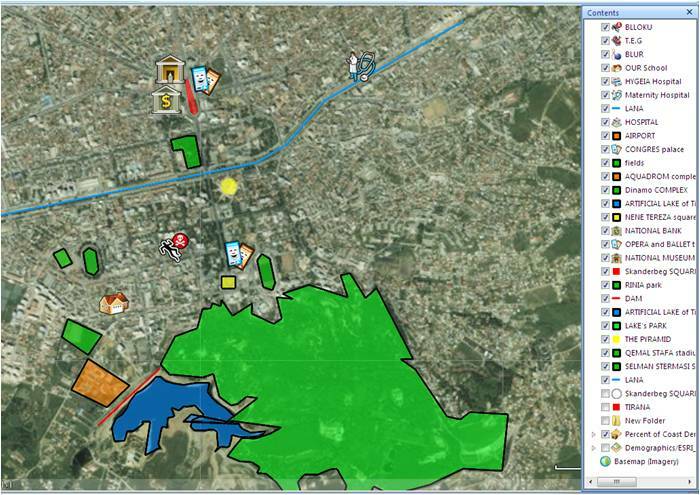 They created two alternatives of Tirana’s Green Map. 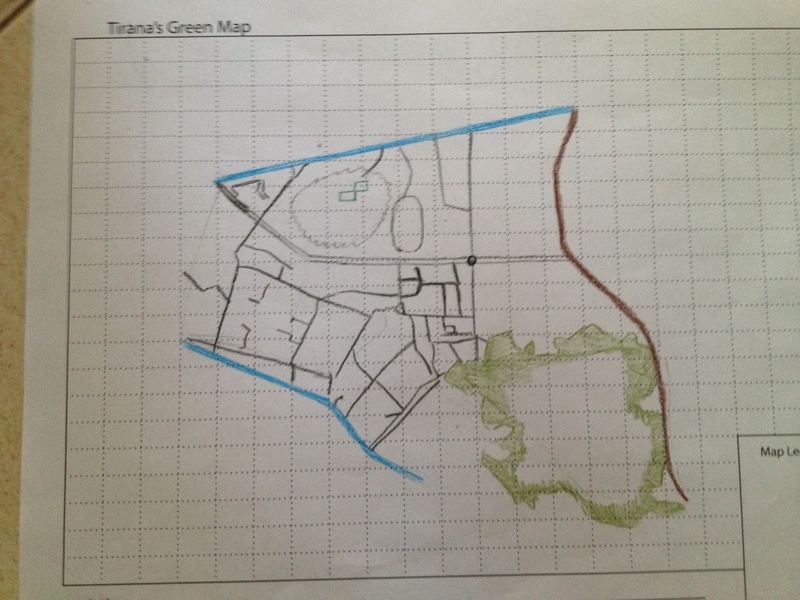 One map showing the present green resources, the other map showing their vision for future green resources. 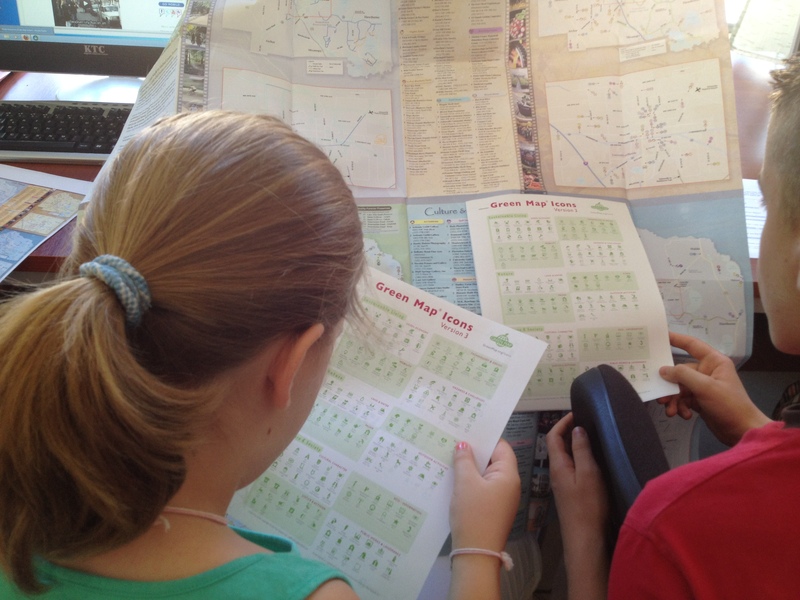 Maps were first composed using paper, crayons, and the GreenMapping symbols. 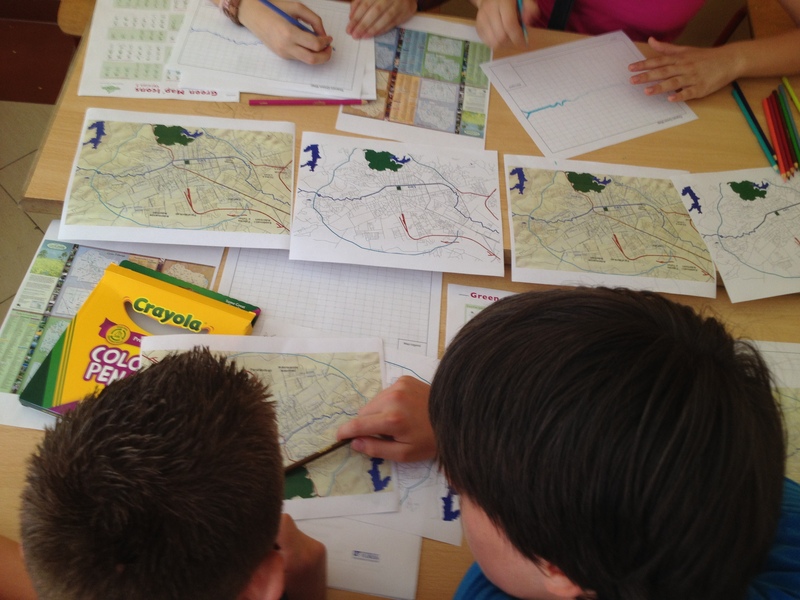 Afterwards they were transferred into a Geographic Information System using ArcGIS Explorer and the skills that students had learned in the previous days. Click for more photos. 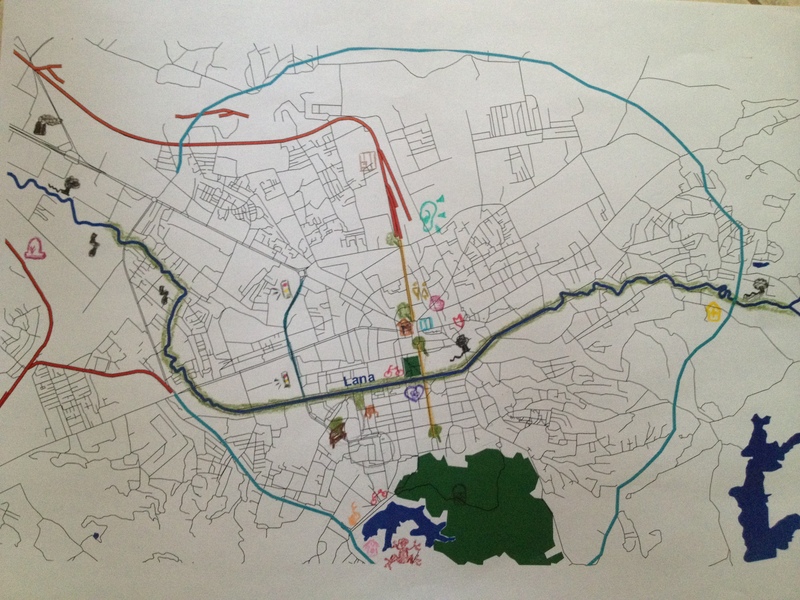 On the fourth day they wrote a letter to the Mayor of Tirana asking that the municipality publish their work for the Green Maps in its website as a means for raising public awareness. 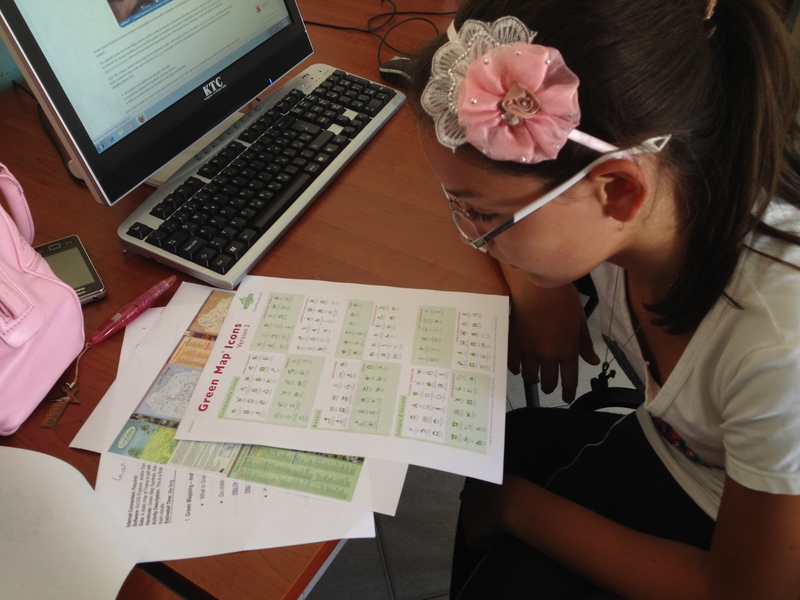 View the letter in Albanian and in English. A closing ceremony was organized at the school where the University of Florida and the GISCorps delivered course certificates. Attendants included parents, and representatives from the government and the civil society, such as Albania’s Deputy Minister for the Environment, Forestry, and Waters, the Albanian-American Development Foundation Executive Director, etc. View a video clip of the ceremony. Spatial thinking, environmental compassion, and new technologies come naturally to children, which is why it is so important to teach them at this age. Introducing these concepts in their youth drastically influences how they contribute to the world in the future. Clearly this workshop impacts the lives of the students, the AYFEED team and ultimately the local and global community. 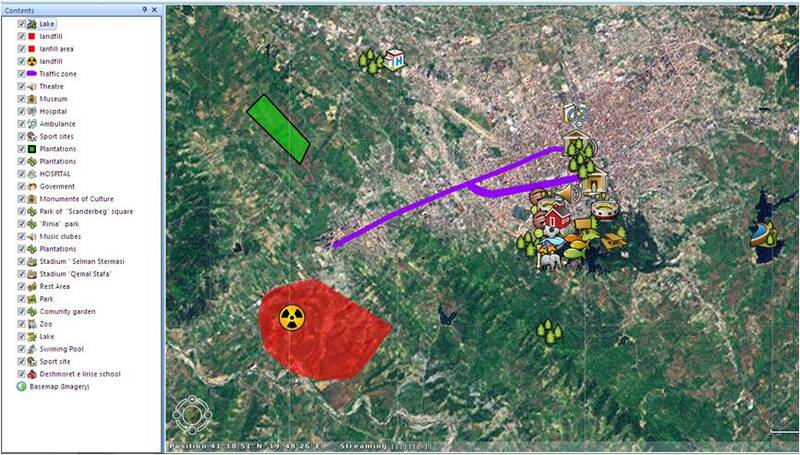 One could detect a higher level of engagement when we challenged the children to think spatially and critically about the environment in Tirana. 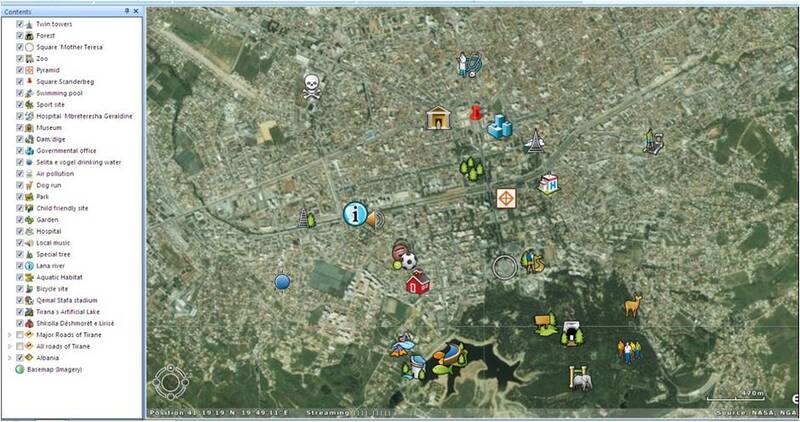 The children’s creativity surged in topics of environmental protection, making spatial data, and the role of citizens, governments, and business. 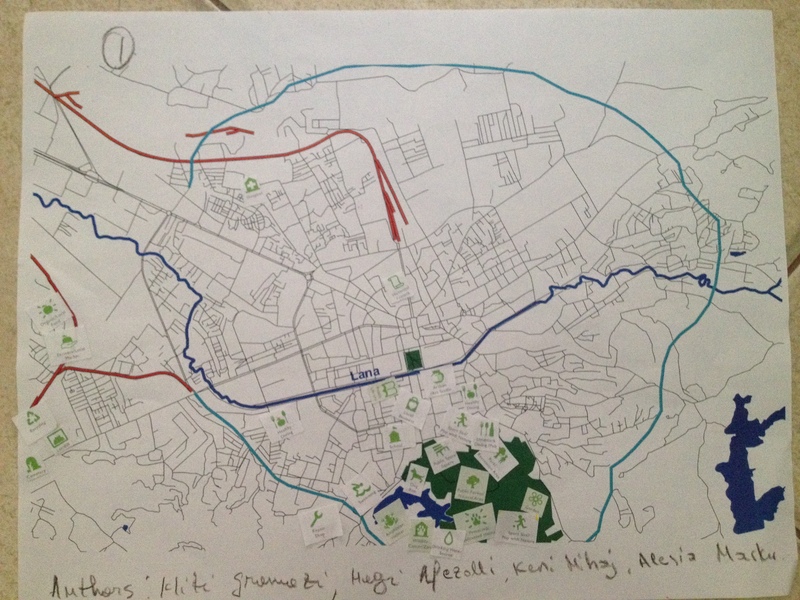 From the discussions and the AYFEED Lessons the children formed the knowledge to make a Green Map of Tirana, and share spatial thinking, environmental awareness, and new technology with their community. 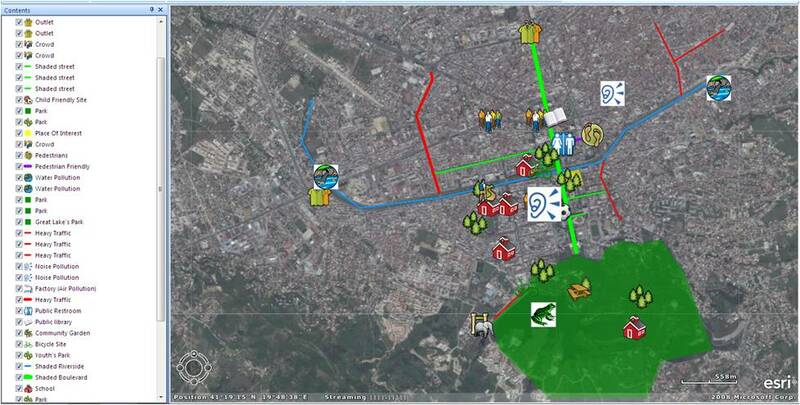 The Green Maps of Tirana turned information into a language leaders and citizens of Albania could grasp and utilize. 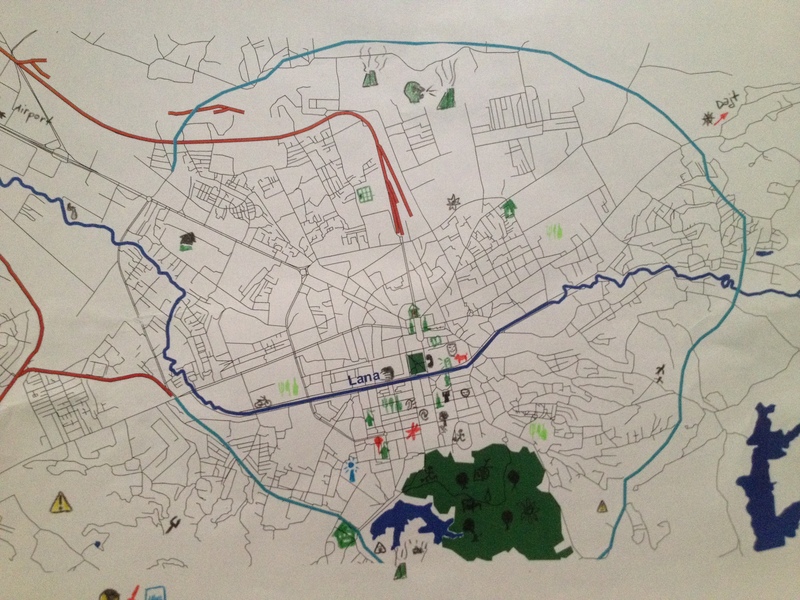 The AYFEED workshop and the Green Maps of Tirana were a huge success. The experience reinforced why the AYFEED team dedicated energy and resources into the AYFEED project and inspires us to do it again. After the course. Exploring the Dinaric Alps in Northern Albania. Photos in the village of Valbona at the source of the Valbona river (with a pure, light, and tasty drinking water).